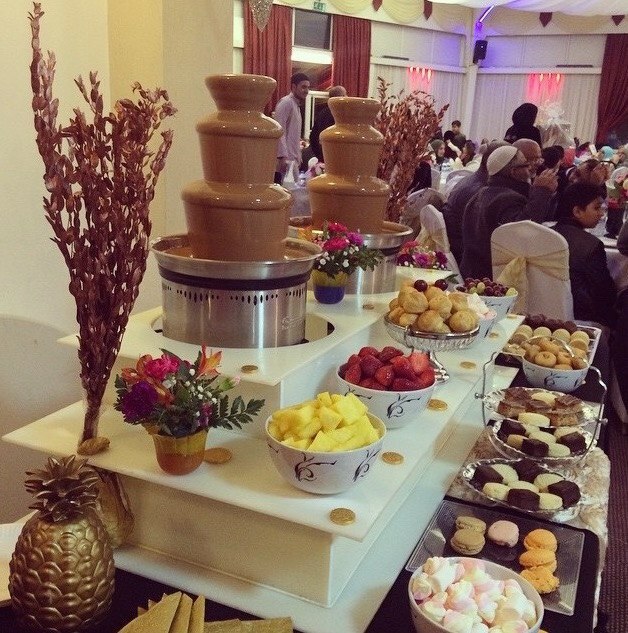 Chocolate fountains available for hire in a wide range of delicious colours. 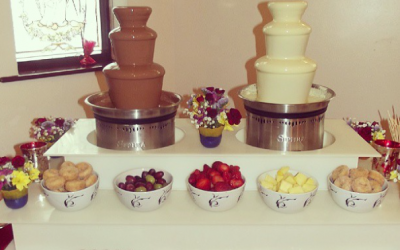 We are a chocolate fountain company based in Lancashire who caters for all occasions and events. 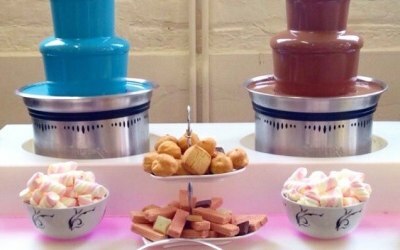 We specialise to the clients requirements from the type of chocolate from milk, white and dark chocolate to a selection of dipping items such as strawberries, marshmallows, doughnuts, profiteroles, pineapple etc. To present the dessert in its finest ways we use bespoke flowers and decoration to go with the colour and theme of the occasion. Our speciality is in different types of coloured chocolate from pink, blue, green, red and purple. We like to bring the best to our clients and of course with the best Belgian chocolate made by the professional chocolatiers. Chocolate was fab we had milk and white chocolate, with all the trimmings. Everyone enjoyed it. Very professional service. Chocolate and drippings were delicious and service was fantastic, highly recommend Barbara’s fountain! All the guests absolutely loved it! Thank you very much Simren! 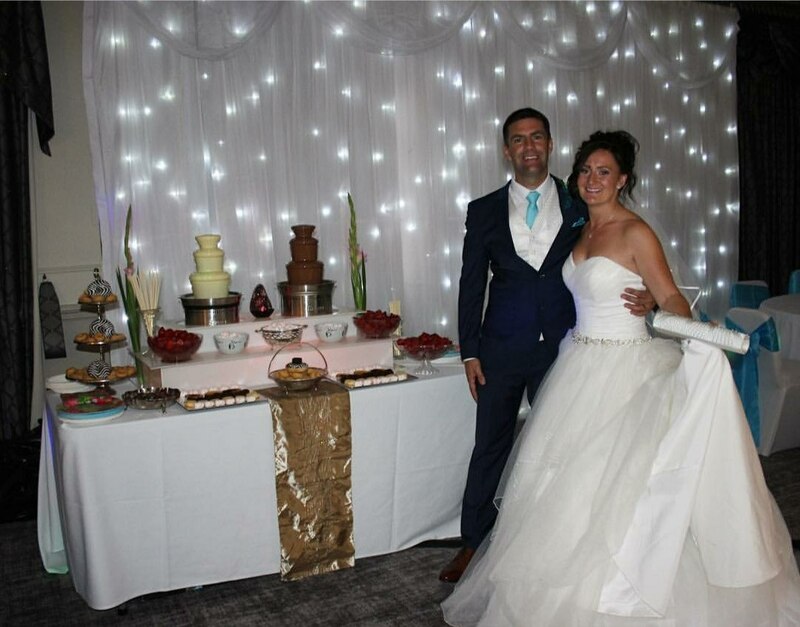 It was a pleasure providing a service for you and your guests! Great venue for a prom! Lovely pleasant staff. Unobtrusive and efficient. Would definitely recommend Barbara and her team. Thank you. It went down a storm. 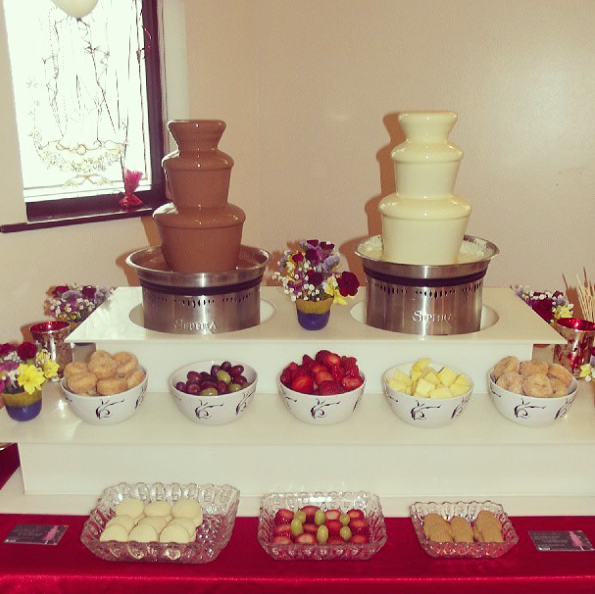 Barbara and the girls did a great job on the evening of my wedding with our 2 chocolate fountains. The guests loved them. Many thanks. Amazing set up proper show stopper excellent customer service. So relaxed, staff and girls just so helpful and absolutely the most tastiest, finger licking chocolate you have ever tried. Thank you very much! It was a pleasure serving and meeting you and your guests. We were really impressed with the service we received. Everyone loved the chocolate and the variety was great. Great value for money we definitely recommend. Great Service - Professional, Punctual, and Tasty! 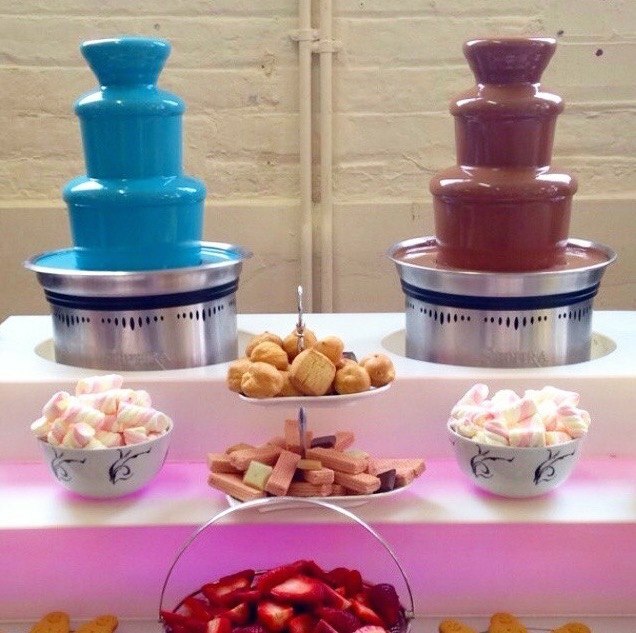 We hired chocolate flow for our end of year society ball. Thank you very much and thank you for making us welcome. It was a pleasure to provide a service to you! Fantastic Service! Many cariety of chocolate! Barbara and Haleema has been a very reliable and efficient supplier. 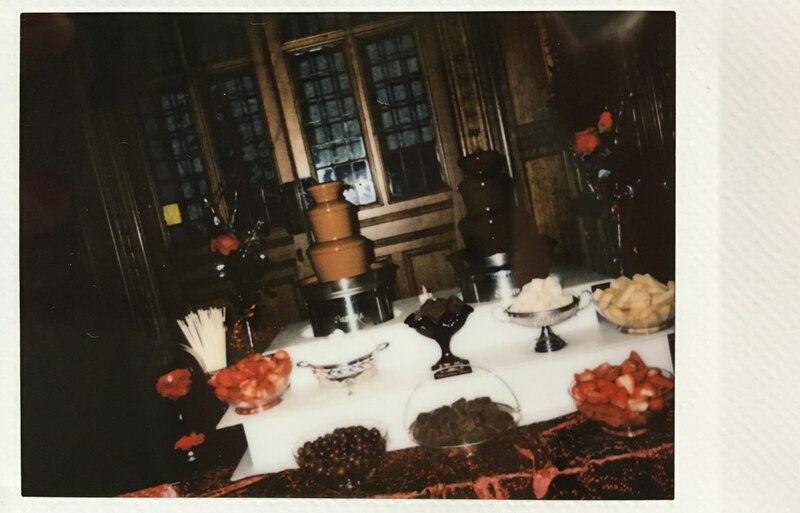 The two chocolate fountains and decorations really matched with the theme and added a unique touch to the venue and really value for money -student event friendly. Definitely recommend them to your event. We have had an amazing night thanks to both of them! Thank you very much! It was a pleasure to meet you all. You made us very welcome. 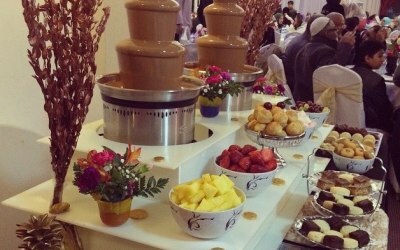 Get quotes from Chocolate Flow and others within hours.